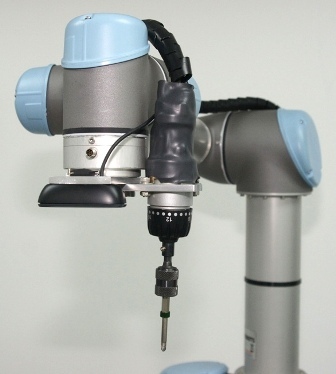 Zacobria - Universal-robot - vision guided industrial robot with regular web camera. 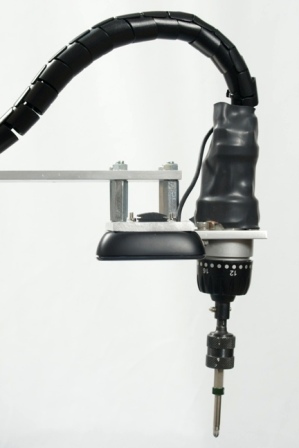 Applying a regular web cam in a vision guided system for a Universal-Robots application. 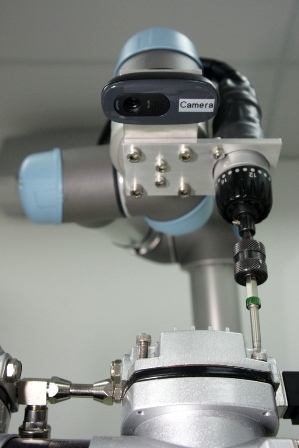 This application utilizes a regular normal off the shelf web cam to guide the Universal-Robots in mounting and tightening screws and bolts at an assembly line application. 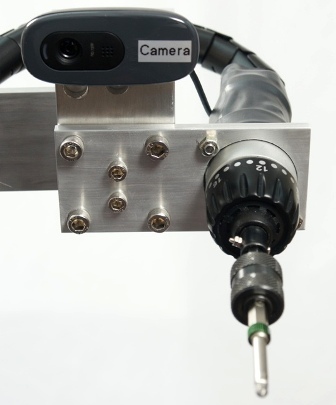 The web cam is connected via USB to a normal computer e.g. laptop – desktop – notebook – single-board computer etc. etc. – in this example a normal laptop, but a small single board computer is also possible. 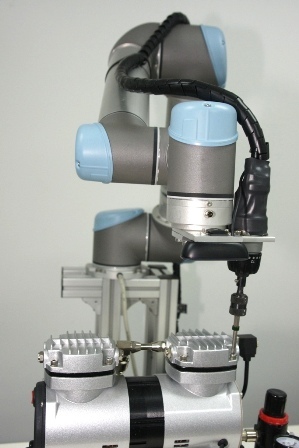 The Universal-Robot is setup to be a client that connects to the vision computer via a TCP socket port. 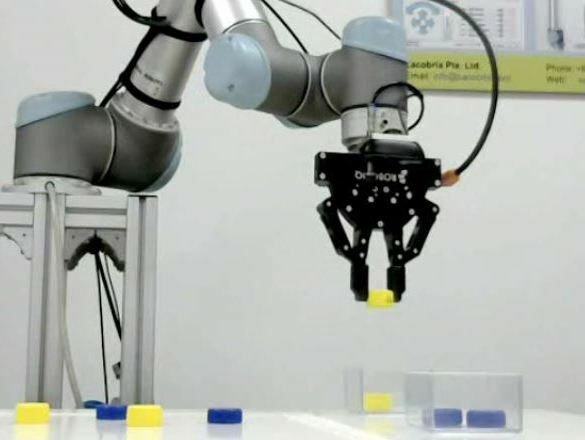 Whenever there are new objects recognised by the web camera and vision software the coordinates for the position of the objects are sent to the Universal-Robots. 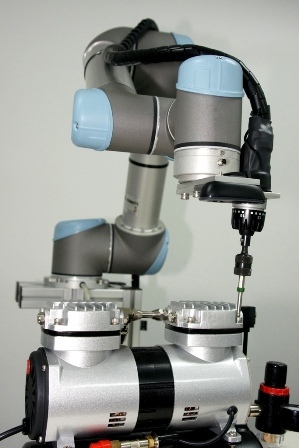 The Universal-Robots then uses the coordinates provided by the vision software to go to the target position – in this case the bolts on the work piece on the assembly line. 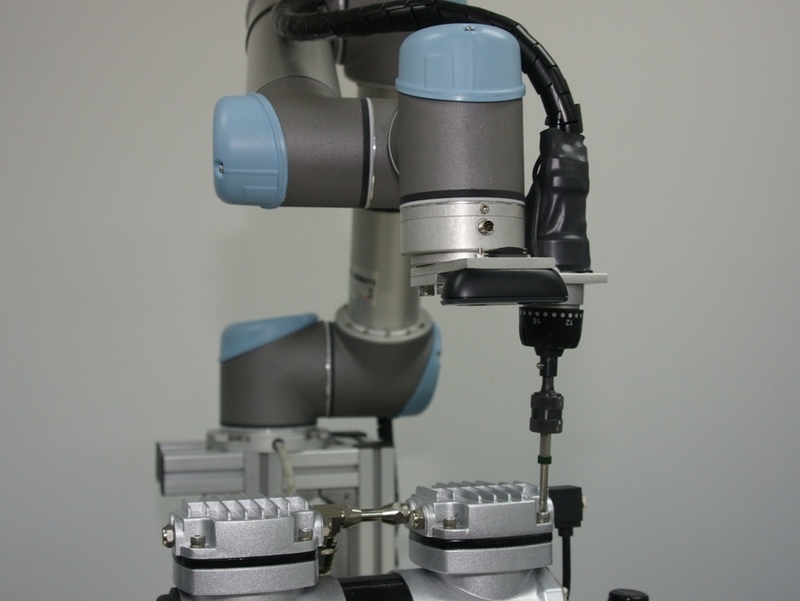 After completing one cycle of tightening all bolts on the forehand work piece the robot go back to starting position and waiting for new coordinates captured by the web camera. 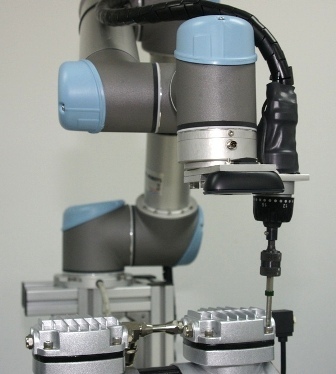 Technical details: On the camera computer the vision capture program and server for the robot is a program application developed by Zacobria with open source software in this case Python, but other programming languages can also be used. 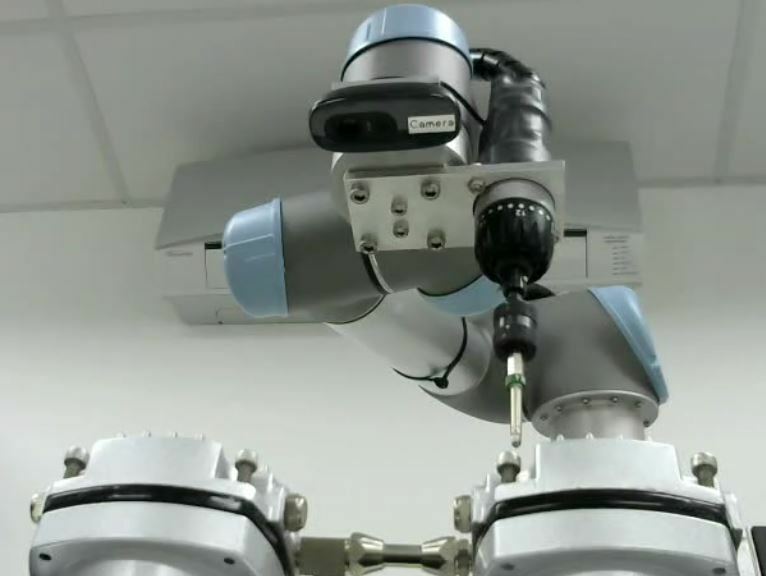 When the robot is up and above the field of view i.e. 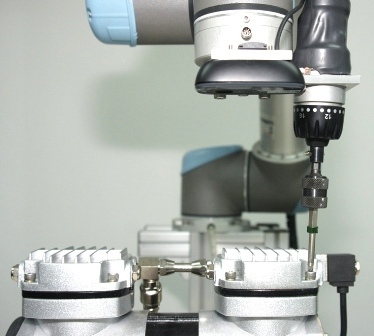 above the area of interest the camera software captures an image and calculates the coordinates for object recognised in this area. 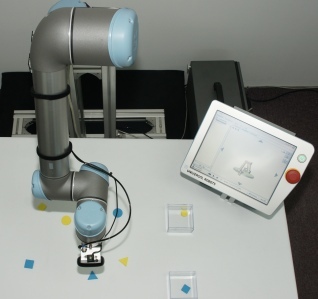 At the same time the robot establishes a connection to retrieve the coordinates captured by the camera. 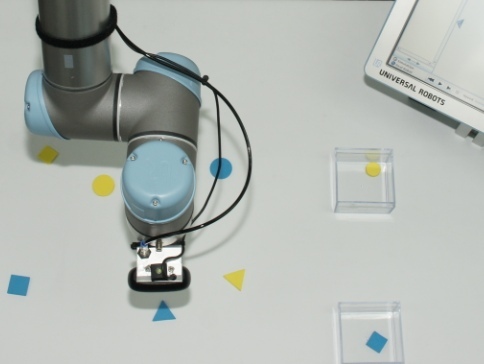 Then the robot moves to the target position based on the acquired coordinates. 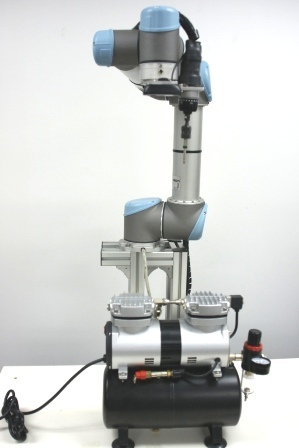 Universal-Robots zacobria vision camera guided mounting tightening assembly.